Today's high speed designs drive the need for precision measurements and often nyquist sampling is insufficient to insure adequate signal construction. 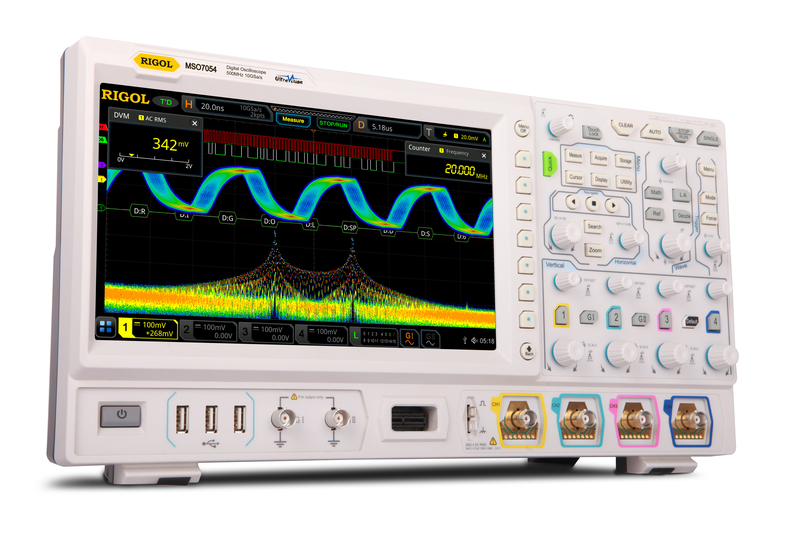 With a max sample rate of 10GSa/sec the 7000 Series sets a new standard in the class, providing 20x oversampling @ 500 MHz. This industry best sampling insures accurate signal visualization with no aliasing, distortion or signal loss. In order to capture long sequences required to debug serial traffic and complex modulations an instrument must have sufficient memory to acquire adequate time without compromising sample rate (signal detail). With category leading memory depth up to 500MPts the 7000 Series provides user with sufficient memory to capture long duration signals without compromising signal resolution. Managing large data captures requires new navigation and analysis capabilities in order to make them useful. The RIGOL 7000 Series adds Zoom, Search/Mark, and Record Mode (Segmented Memory) to quickly identify signals of interest and make navigating long captures simple and efficient. 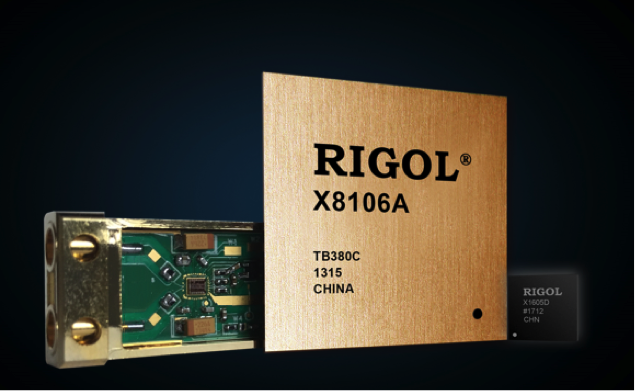 The 7000 Series performance capabilities are enabled by RIGOL's UltraVisionII architecture. Get an overview of the architecture and see how the new ASIC based hardware design provides significant improvements in Jitter, Waveform Capture Rate and other key specifications. Customers want flexibility in how they interact with their instruments. Incorporating Touch, Traditional Button and Knob, Mouse/Monitor, Web Control and Remote Operation the 7000 Series Next Generation User Interface provides users 5 unique ways to interact with the instrument. Engineers needs answers at their fingertips. With 6 Unique integrated instruments, 43 Precision Measurements, Power, Histogram, FFT and other Analysis capabilities the 7000 Series allows customers to quickly identify and resolve complex design challenges.